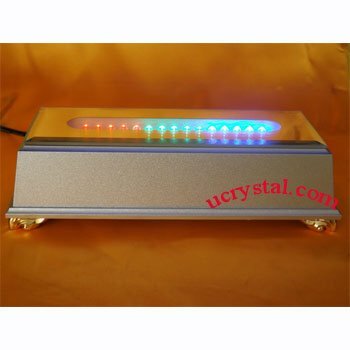 Using Ucrystal rectangle lighted display base will enhance the look of your 3D photo crystal, glass sculpture and crystal glass art. 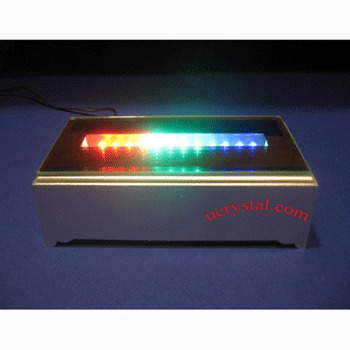 This rectangular led light base stand is sleek in design. 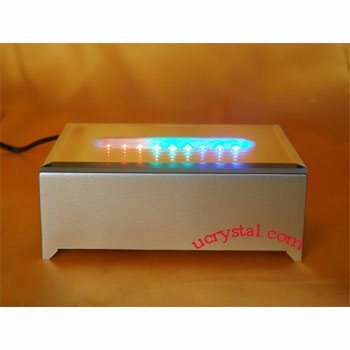 The multi-colored LED lights show rotating color with changing intensity, and blend seamlessly to the 3D crystal, glass sculptures and crystal glass art. 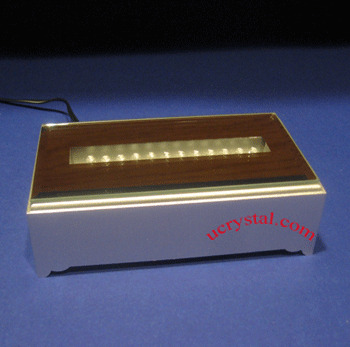 Add this beautiful rectangular light stand will make your crystal glass art, glass sculpture and 3d photo crystal shine. 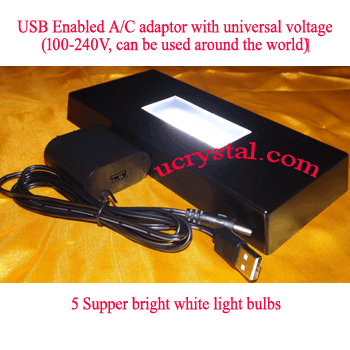 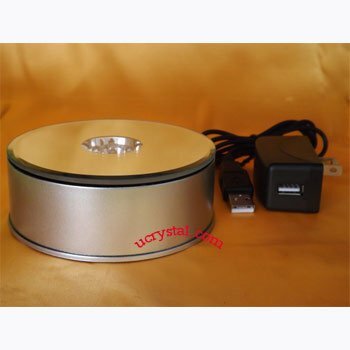 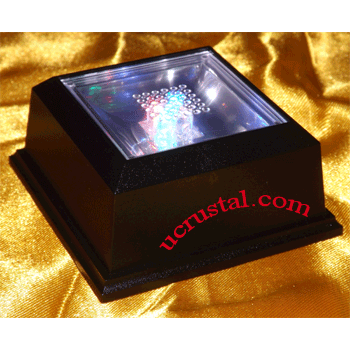 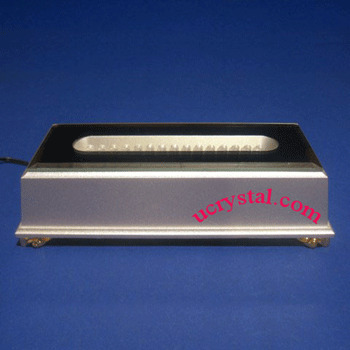 In order to safeguard our reputation, we only carry premier quality LED light bases for crystals.‏ Our A/C adaptors with universal voltage (100-240V), can be used around the world. 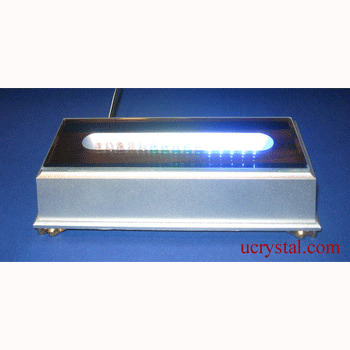 Light display with 15 multi-color LEDs for 2D or 3D laser etched photo crystals. 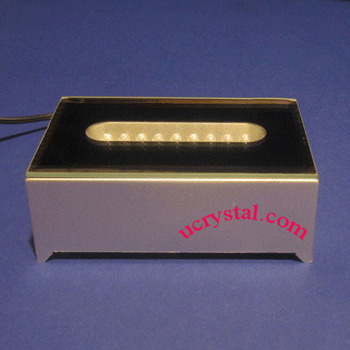 Top surface is mirror material. 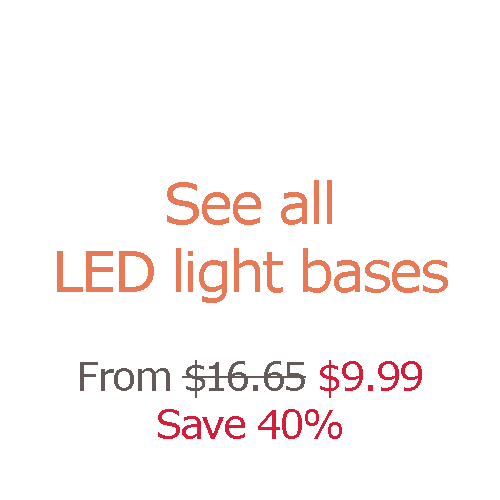 Alternating in red(5)-blue(5)-green(5) LED light bulbs. 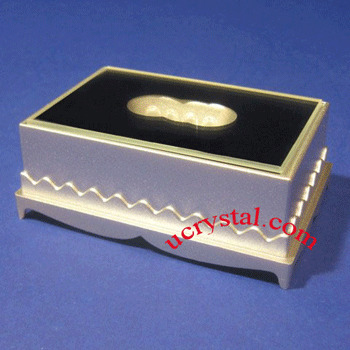 Rectangular, silver color, Top surface 6" length x 2-1/2" width, bottom 7" x 3" and 2" height. 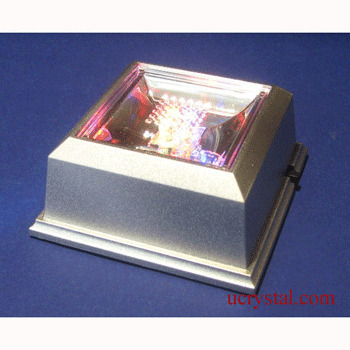 Mirror top light aperture opening: 4-1/2" x 3/4". 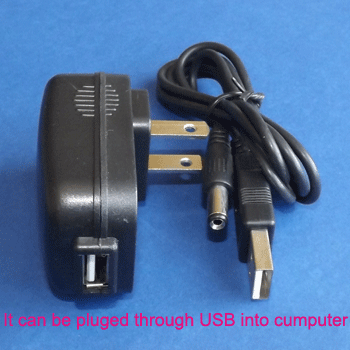 It can be operated with 4 AA batteries (not included).